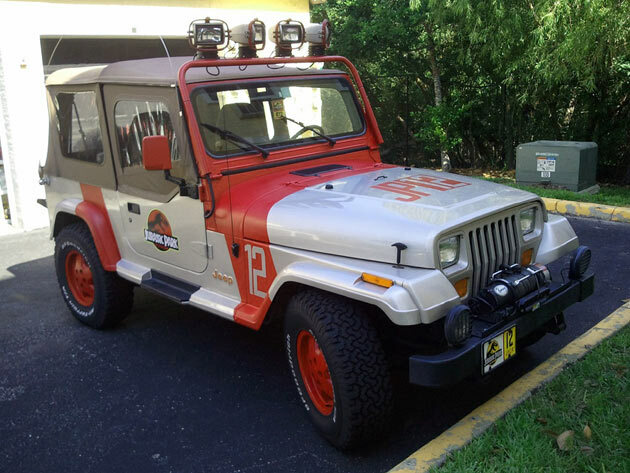 Some lucky hoon will be getting his Dr. Grant on in the most authentic Jurassic Park recreation Jeep Wrangler we've ever seen. The graphics are painted on, rather than being rendered in vinyl, which means this Jeep's look is there to stay. Even the complicated and expensive light bar is functional. Underneath its prehistoric bodywork sits a 118,000-mile 1995 Jeep Wrangler Sahara with an impressive list of new or refurbished parts, not to mention rare-for-YJs air conditioning. The thing sold for a heady $9,000, which is way more than any reasonable person should spend on a 118K-mile 1995 Jeep under normal circumstances. But with this level of workmanship and the important maintenance done, the figure doesn't sound so horrifying.eBay Find of the Day: Jeep Wrangler Jurassic Park edition originally appeared on Autoblog on Mon, 30 May 2011 19:00:00 EST. Please see our terms for use of feeds.